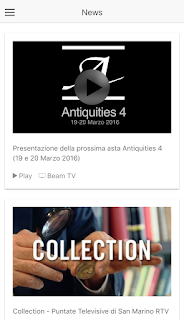 Nuova applicazione mobile di Artemide Aste! Siamo felici di presentare la nuova applicazione di Artemide Aste per cellulari e tablet. 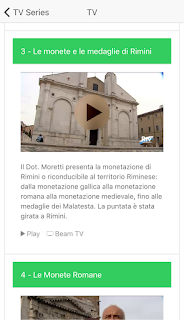 Vi invitiamo a scaricare e ad utilizzare l'applicazione! L'applicazione, semplice ed essenziale, è pensata per permettere di rimanere sempre aggiornati sulle iniziative di Artemide Aste e di sfogliare comodamente i cataloghi d'asta delle aste in corso. In prima pagina troverete un'elenco delle prossime novità. 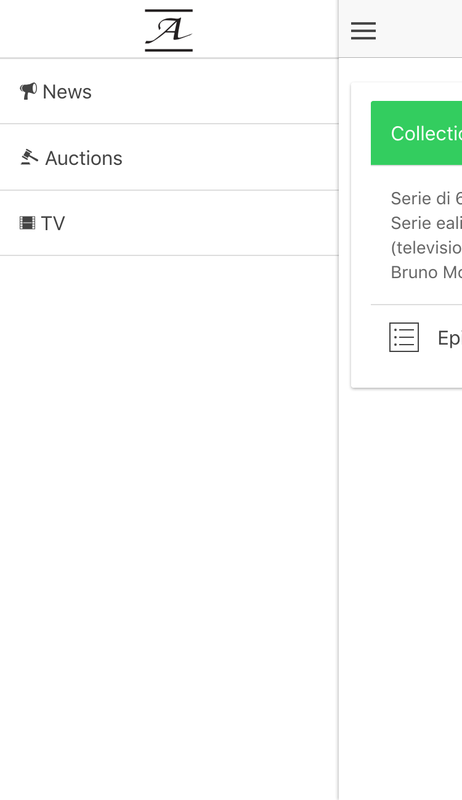 Tramite il menù laterale è possibile accedere al calendario delle prossime aste e all'archivio delle puntate televisive di Collection. Vi auguriamo un buon divertimento! Antoninus Pius was born in 86 AD to Titus Aureus Fulvus and Arria Fadilla in the town of Lanuvium in Latium. His father held a consulship, and both of his grandfathers each held two consulships. Antoninus was born Titus Aurelius Fulvus Boionius Antoninus. Antoninus began his career in politics early, and held both a quaestorship and praetorship before becoming a consul himself in 130 AD. 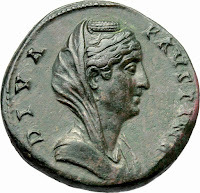 He married Annia Galeria Faustina (known today as Faustina the elder), whose father was Marcus Annius Verus. His abilities soon caught the eye of the emperor, Hadrian, who named him a judge in Umbria and Etruria. He served in this capacity for several years, building a strong history of service and dedication that furthered his favor with Hadrian. 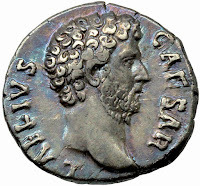 Antoninus was adopted by Hadrian after the death of his previously adopted heir, Lucius Aelius Caesar, in 138 AD. Hadrian at this point was already mortally ill, and very concerned with his successor. Antoninus was soon granted imperium during Hadrian's lifetime, and served as active head of state in Hadrian's waning months of life. Part of Hadrian's view toward succession looked farther into the future than merely to his immediate successor. 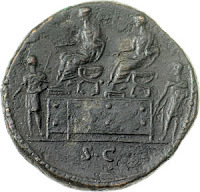 To ensure his vision of stability, he required Antoninus to adopt two heirs of his own, Marcus Aurelius and Lucius Verus. Hadrian clung to life for several months, and finally died in July of 138. 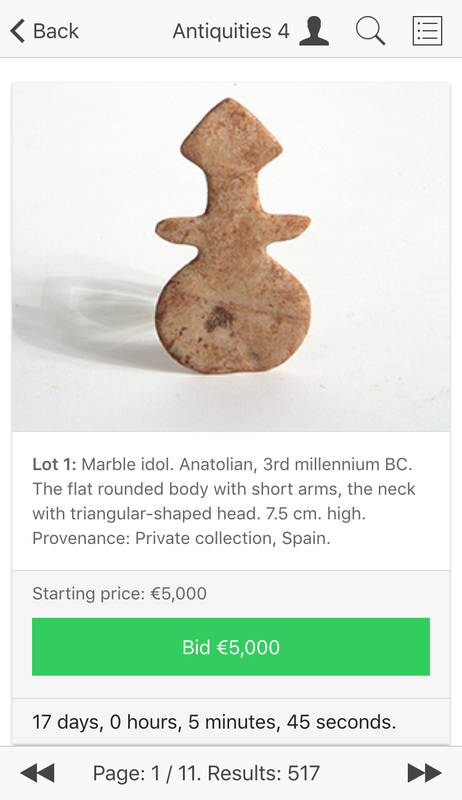 Antoninus Pius was known as a diplomatic leader, rather than just an expansionist warlord. He sought peaceful existence, coupled with firm rule. Several uprisings did take place during his reign, most notably in Britain and Judea. While firmly backing his military, he also realized the wisdom of diplomacy and working with those he governed. By doing this, he earned the admiration and cooperation of local puppet monarchs under his rule. 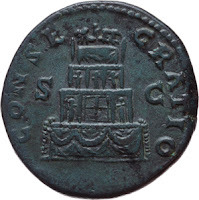 Antoninus had a keen sense of the importance of the centrality of Roman power, and that its seat of government and surroundings should reflect this importance to the world. He was very concerned with bolstering the infrastructure of Rome and the Italian peninsula. He built bridges, amphitheaters, public baths and roads. He rebuilt harbors to ensure trade and augment naval strength. These actions greatly pleased the senate, whose power he also strengthened. He enjoyed good relations with the senate, deferring publicly to them, while still maintaining his own supreme control. 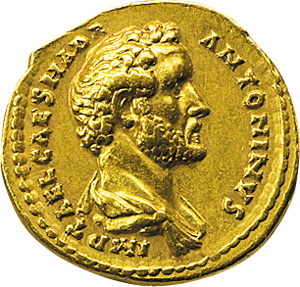 The reign of Antoninus Pius has often been called the Golden Age of the Pax Romana. 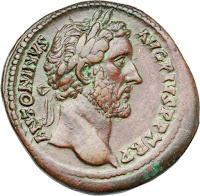 If it could ever be said that a Roman emperor was admired for his reign and administration, Antoninus Pius would be high on the list for consideration. Unlike many of those before and after him, Antoninus died peacefully and naturally, in 161 after a reign of approximately 23 years.